Not too sure which mechanic you can trust with your precious Toyota? Here are five specialist workshops that you can seek out. Toyota cars have a strong reputation for being reliable and easy to live with, but that said, you still need to service your car on a regular basis. Also, problems may sometimes unexpectedly occur. Yes, you could bring your car to any workshop, but who knows how well-versed the mechanics are. Here are five workshops that specialise in Toyota cars that you can realiably count on. 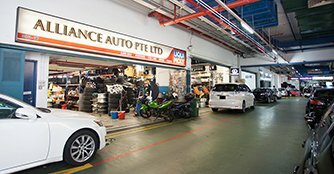 The workshop is owned and operated by Hanip Abdul, formerly a diagnostic specialist and master technician at Borneo Motors, Toyota's authorised distributor. 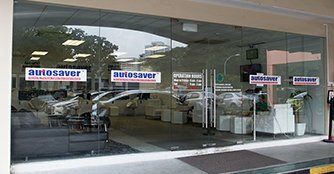 Services range from the usual car servicing, maintenance to diagnostic troubleshooting and battery/tyre replacement, as well as engine and trasmission overhaul. The workshop abides by strict rules, using only genuine parts, and the skilled workforce always utilises the latest equipment to fulfill for your servicing needs. Besides offering financial solutions for corporations and individuals seeking flexible and affordable financing, Hitachi Capital provides a full suite of maintenance and repair services as well, creating a truly convenient service stop for all of its customers. 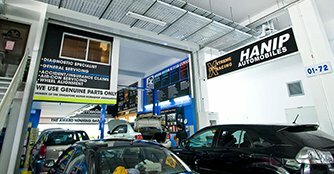 Additional services include towing in and 24-hour break down service, helping customers out of situations like punctured tyres, replacing flat batteries, as well as interior chemical wash.
Alliance Auto utilises original diagnostic equipment for accurate diagnostic results. This, as well as the fact that the workshop gets parts direct from Japan, has helped Alliance Auto build a strong trust-based relationship with its customers. The mechanics are also profficient in hybrid vehicles as well. 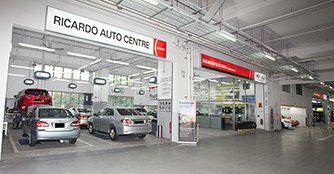 Ricardo Auto Centre offers the latest in Japanese repair technology, cutting-edge facilities, state-of-the-art diagnostic equipment and a readily accessible inventory of genuine factory parts and accessories, coupled with the highest level of hospitality. Ricardo Auto Centre is fully backed by the Toyota Group of companies. Click here to check out the various Toyota specialist workshops over on our Motor Directory page! Browse the 104 Specialty Workshops merchants in our motor directory.